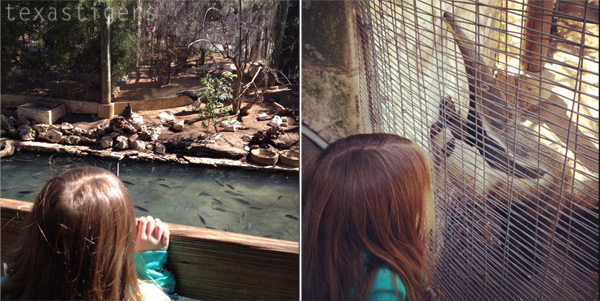 We were busted by Abby for going to the zoo without her while she was in school. 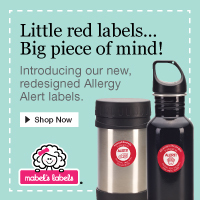 The new refillable Tiger cup gave it away as she immediately noticed it and was very upset she didn't have one. So she wanted to go to the zoo and get one as well. Nope not to see the animals but to get a cup like Micah had. Yes normally they'd share... and normally they share with us (as we aren't there all day - just a few hours) or even better I usually pack a bag of snacks but alas we 'needed' a tiger cup. Since we didn't have anything else planned for the morning and it was lovely outside, I figured why not head out to the zoo. When we get to the zoo I always ask what animal they want to see to plan our trip around the zoo and be sure not to miss that specific animal and no surprise there - the gators won that vote on Saturday. So we took off in that direction and saw lots of animals on the way. The anteater was even out. I rarely see this guy out and he's huge! I never realized quite how large anteaters really are until the came up next to the bridge we were walking over, stood up against the wall and we could hear him loudly stiffing for some food. 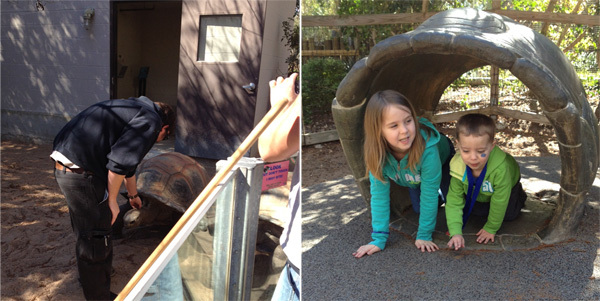 We wandered around the Tot spot and checked out the giant tortoises. Did you know they enjoy a good petting? And will follow you around like a puppy dog if they think you'll feed them? Nope, me either but it's true. 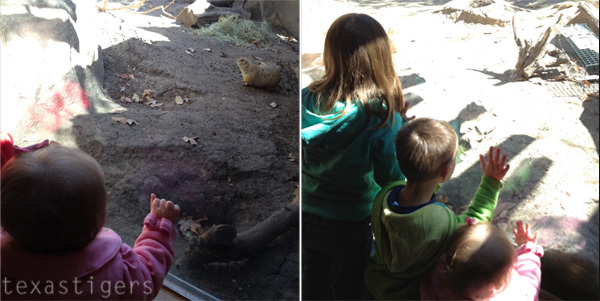 Everyone was having fun watching the prairie dogs and crawling up in the look out hole. Lexie likes this area because it means she gets to get out and toddle around enjoying it as well. 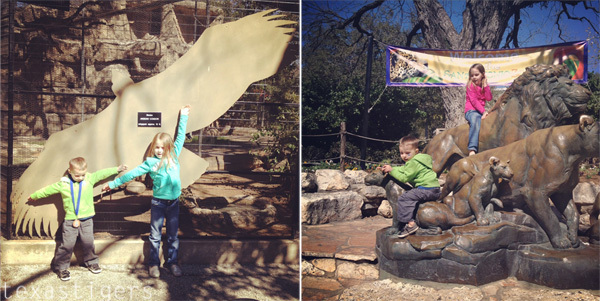 And we can't go to the zoo without comparing ourselves to the condor wings or climbing on the lion statues at the front. Always a fan of the elephants! I didn't know that about tortoises! How neat.